I have been wanting to design my own cut files for a while now. 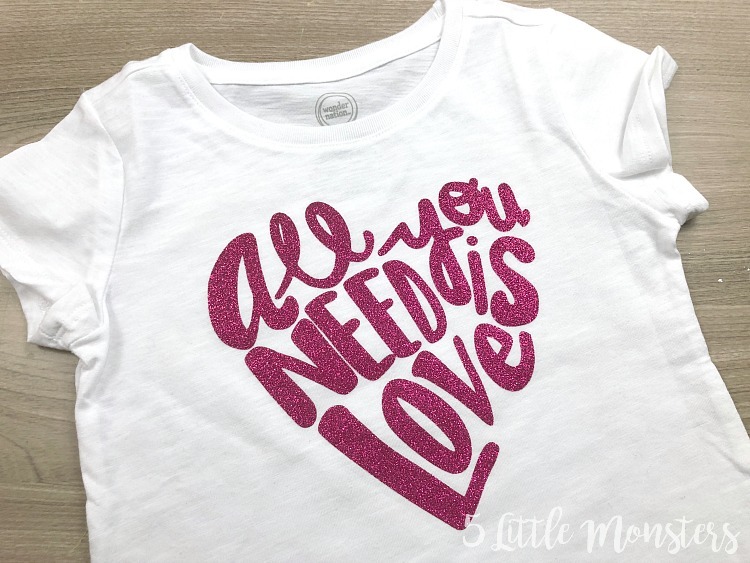 Most of the designs I create and make with my Cricut are made in Cricut Design Space using elements and fonts available there. I don't mind creating things in that way but it is limiting using premade design elements and sometimes I have a specific idea I want to create from scratch, 100% my own. I made this design with Valentine's day in mind. 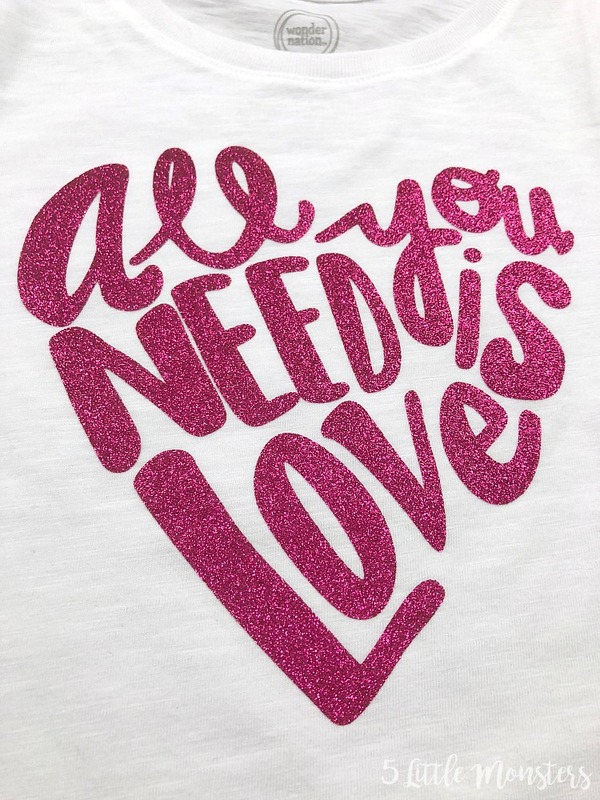 It is a hand-lettered design in the shape of a heart, that says "All you need is love". 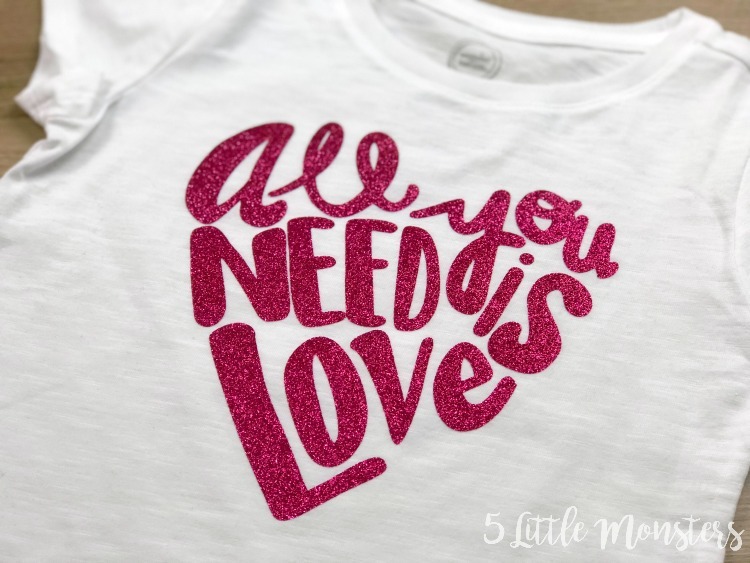 I cut it out of Cricut glitter iron on in Lipstick and put it on a child size shirt, but you could put it on anything. Download the free SVG file. Upload the file into your design software. 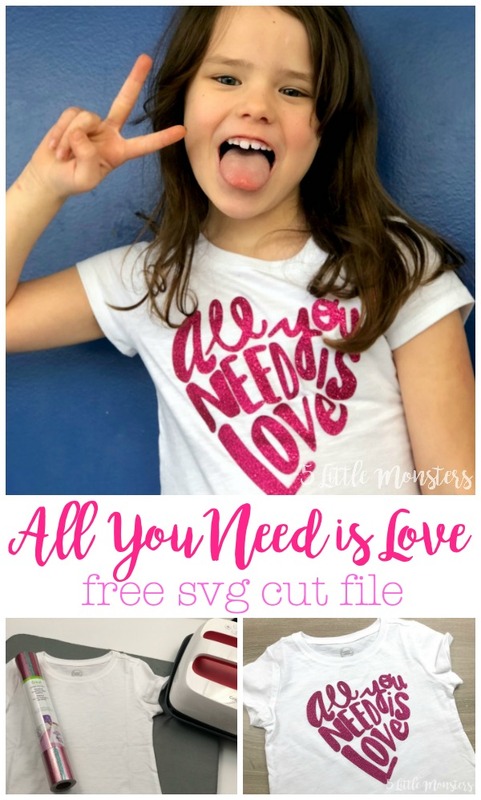 I am only familiar with Cricut Design Space but you can use the file with a Silhouette or any cutting machine that allows you to upload designs. 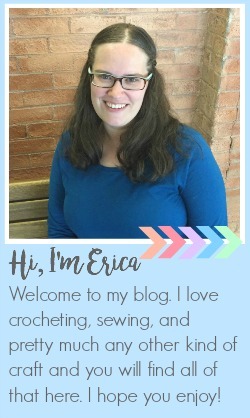 To upload the design in Cricut Design Space you will need open a new project and then click on upload on the bottom left of the screen (when using a computer). Then click upload image and select the file. Because it is an SVG it is really easy to import, you don't need to clean anything up. Add it to your design screen, resize as needed (I made mine 7" wide), and you are ready to cut. 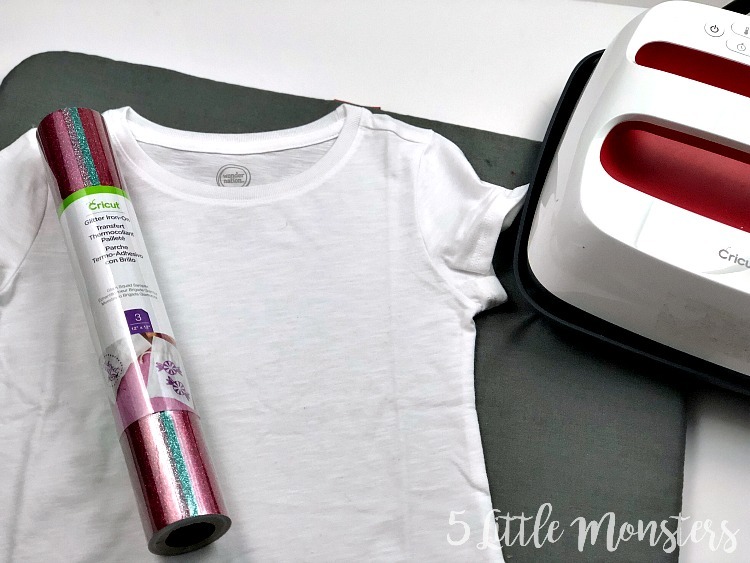 Be sure to mirror your design and cut as you normally would any iron on design. 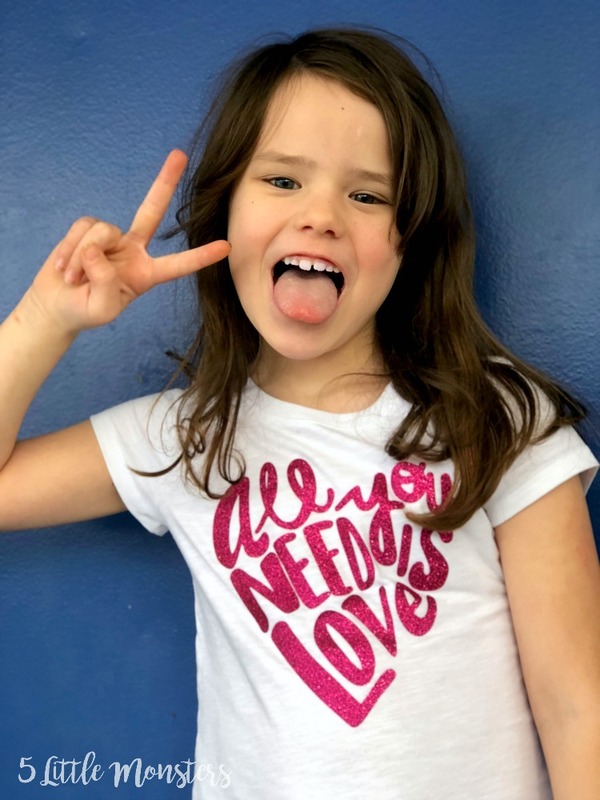 Press onto the t-shirt following these recommended settings if using the EasyPress.